On Friday 22 March 2019 Servaco Product Testing was launched, a joint venture between VITO and the Servaco Group. The new company will focus on the emerging market of product emission testing. The tests analyse the impact of all kinds of (consumer) products and materials on indoor air quality. 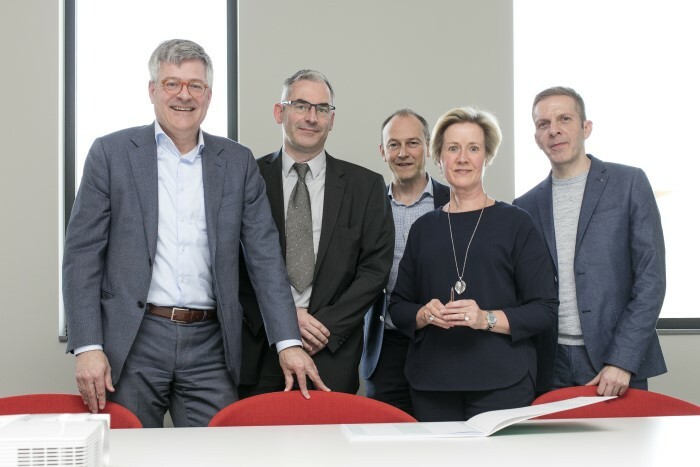 The integration of this business in an existing company is a textbook example of how VITO strengthens the clout of the Flemish company with technological innovation, also with a view to foreign activities. VITO has been doing research on product emissions from so-called VOCs or volatile organic components for years. These are harmful substances that can be released from all sorts of products and materials, ranging from household appliances to construction and interior materials to furniture and even scented candles. Producers must therefore comply with national and European guide values for VOCs. In addition, there are also numerous product labels that require that emissions remain below certain limit values. Thanks to the full service approach, VITO saw its customer portfolio for product testing greatly expanding in recent years. After all, VITO not only developed the most adequate measurement methodology, it also helps customers with compliance – compliance with legislation and other rules – in other countries. “If a company wants to know how large the emission of a specific hazardous substance is, it will also like to know whether it complies with the regulations in the countries to which it exports and the product labels that exist there”, says Marc Lor of VITO who will now start working as operational manager in the new joint venture. Due to the success of the commercial and industrial focus of these activities, however, it continued to develop less in line with VITO’s DNA. It was therefore decided to transfer the expertise and knowhow to an existing private company as a joint venture. With the Servaco Group, which has departments in Hasselt, Puurs, Wetteren and Wevelgem, VITO found an excellent industrial partner. On 22 March 2019, the new company Servaco Product Testing was born. This is a good example of how at VITO we support the Flemish economy with technological innovation. Due to the maturity and routine nature of our testing activities, the time was ready to turn them into an independent company. The advantage of Servaco is that the analysis of product emissions is closely aligned with the company’s own activities. With the integration of the VITO expertise, Servaco wants to strengthen its position in the niche market of product emission testing. “But we also want to play a more important role at European level”, says Nico Van Landuyt, CEO of the Servaco Group. Servaco has a rich experience in the field of emission measurements. When VITO started its project on specific measurements on products, this immediately aroused our interest. We have seen that story grow, and today it seems only logical that we expand our activities in that direction. With the integration, we not only acquire an important piece of expertise in one go, but also the opportunity to immediately roll out these activities internationally.